Standing four metres tall, weighing in at 4500kg and delivering 1500 horsepower. No, this isn’t an introduction for a WWE wrestler, it’s a description of a Monster Jam monster truck. 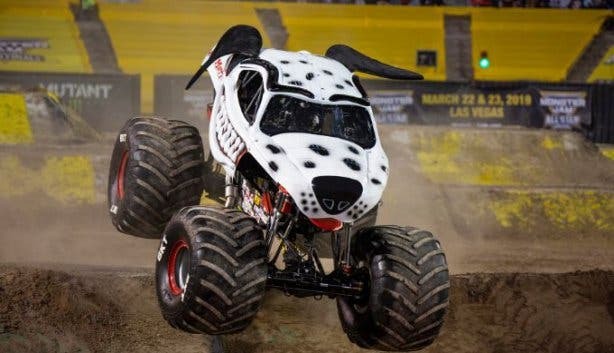 The family-friendly, international monster truck show is on a nationwide tour and makes its stop in Cape Town on 27 April 2019 at the Cape Town Stadium. 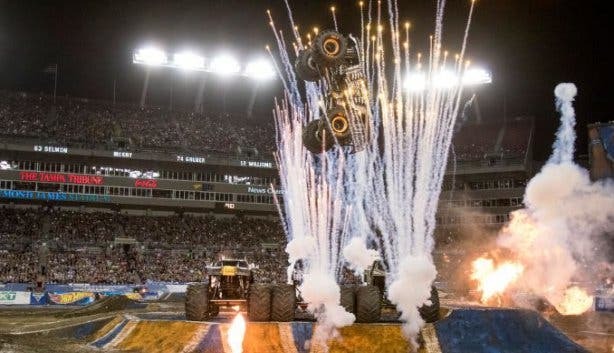 The organisers of Monster Jam are bringing in eight of their baddest trucks to race, trick and jump their way around the stadium ground. 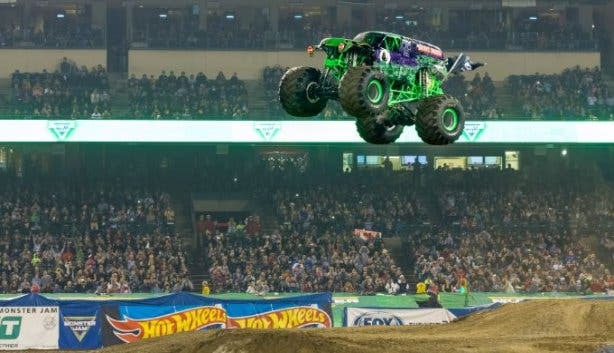 This includes world Monster Jam Champions Grave Digger and Max-D. The other trucks coming to Cape Town are Monster Energy, Gas Monkey GarageTM, Megaladon®, ZombieTM, El Toro Loco® and Monster Mutt Dalmatian®. Side-by-side racing – traditional bracket racing, where the first truck, with the least amount of penalties, that crosses the finish line is declared the winner. 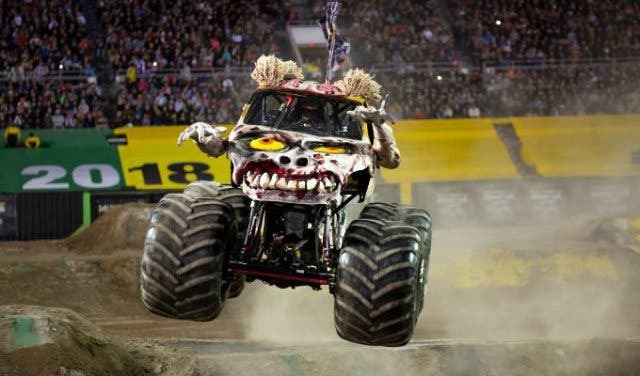 Monster Jam is known for its pre-show ‘Pit Party’, where the fans can meet their favourite drivers, get up close to each Monster Jam truck and participate in a variety of activities. 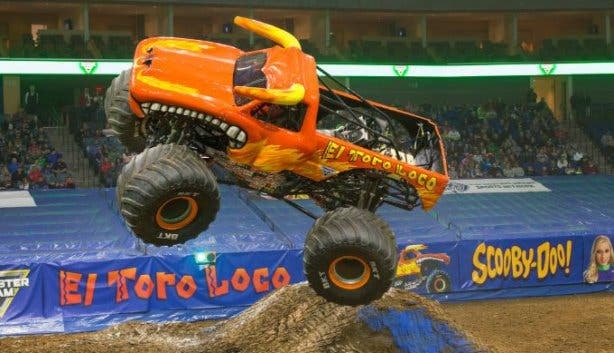 You can also buy official Monster Jam merchandise like flags, t-shirts and hats. 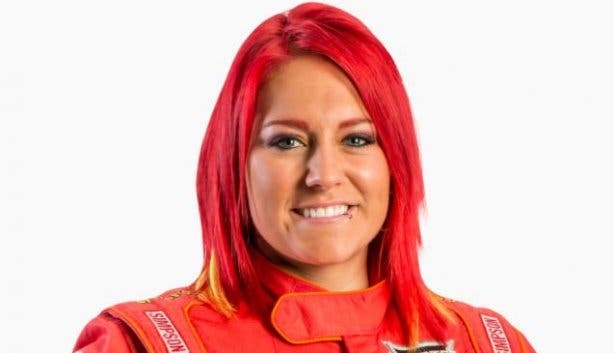 It may seem testosterone-fuelled, but ladies have been taking over in the monster truck world. 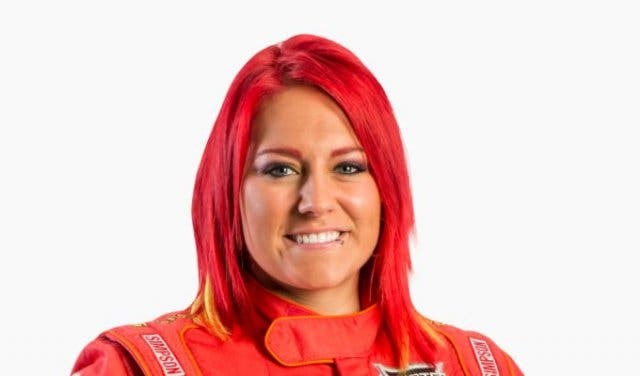 Monster Jam has two of the best female drivers on their roster in Becky McDonough (El Toro Loco’s driver) and Candice Jolly (Monster Mutt Dalmation’s driver). Both females hold their own among the males in the driver’s crew and McDonough is the first Monster Jam female crew chief and also holds the 2013 Arena Wheelie of the Year title. Yes, they’re awesome, and you’ll feel powerful behind the wheel, but don’t get ahead of yourself about owning one of these beasts. 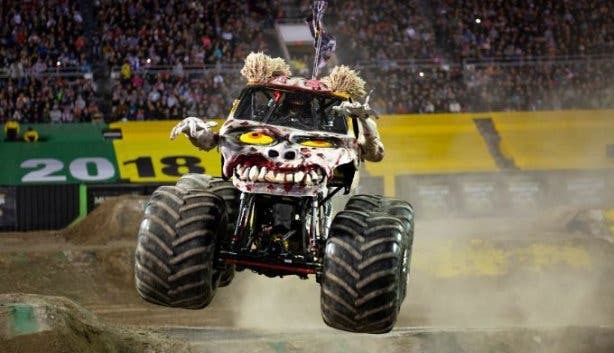 Fuel economy on a monster truck is a massive 17 litres per kilometre, meaning that if one of our staffers drove a monster truck from the Cape Town Stadium to the office (2.8km) they would have used 47.6 litres of fuel. Want some more bad news? They don’t even run on regular petrol. Instead they run on Methanol, the simplest alcohol in chemistry, which is hard to get and more expensive than regular petrol. It is present in whiskey though, but we’ll need 64 bottles of the stuff to help us fuel that trip to our office*. Ticket prices range from R150 for general entry to R800 for a premium lounge entry. Pit Party tickets are R150, but bear in mind that Part Party entry is included with a premium lounge ticket. The organisers insist that you only book through Computicket as tickets bought from any other vendors may not be honoured. *Methanol is highly toxic and shouldn’t be consumed directly. Also monster trucks run on 99.9% Methanol, which means you can’t actually fuel one with whisky. Plan ahead and check out what we have planned for May events. Keep the little ones entertained with these great things to do with kids. Keep the fun going by heading to one of these Cape Town party places.